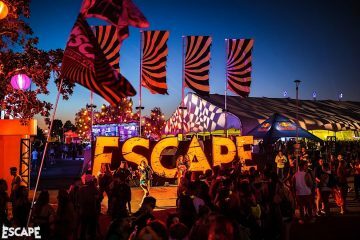 Prepare for the scare: today, Insomniac released a terrifying trailer in anticipation of the 8th annual Escape: Psycho Circus. Follow the infamous Asylum characters Stitches The Clown and the Red Ringmaster on a rampage of havoc and terror for anyone that crosses their path. 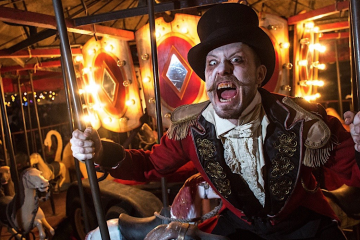 As real-world horrors dissolve into sinister scenes of ghoulishly costumed Headliners, colossal stages, and booming beats that will awake the spirits of Escape’s Psycho Circus, Stitches and clan slaughter their way through a lonely diner and dark gas station en route to the Psycho Circus. Oozing with vivid scenes and blood-curdling screams, the gut-wrenching trailer can be viewed below. Tickets for this 18+ event are on sale now. Two-day general admission starts at $219.95, and VIP passes (21+) start at $369.95. All prices are listed before service fee.